"Easy to use! 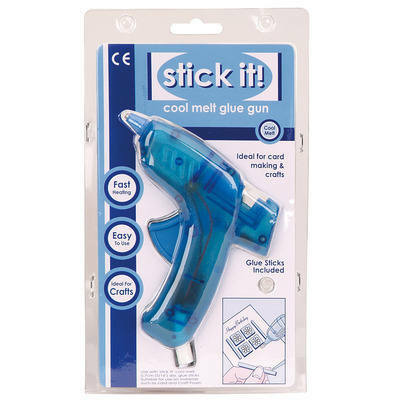 Simply load the glue gun with a glue stick then prop it up on the retractable stand. Plug in the gun and allow to warm for 3-5 minutes. Press the trigger carefully until the adhesive flows from the nozzle and apply in beads or lines to your surface. Quickly position the surfaces together and press them together firmly. After use, unplug the glue gun and leave it on the stand until cool."